Hackers are always trying new ways to trick you in to giving them your personal information! Here’s the latest to come across our path. 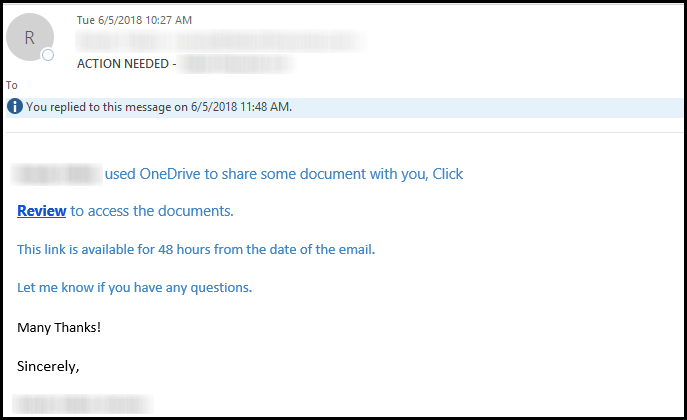 In this first image you can see that the email looks pretty legit. Even the “sender’s” email address is valid. 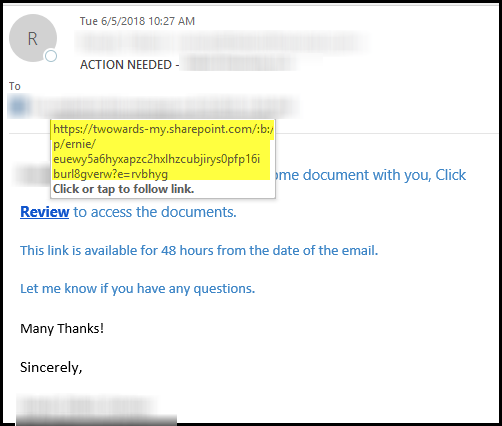 But if you hover on the link to “review” the document you will see that the URL does not point directly to OneDrive’s REAL URL! Access Day Is Coming to Redmond, WA! J Street Buzz – Measure Twice, Code Once.